The pressed links are drilled for weight. Connection with pins. Each pin with lubricated needle bearings. 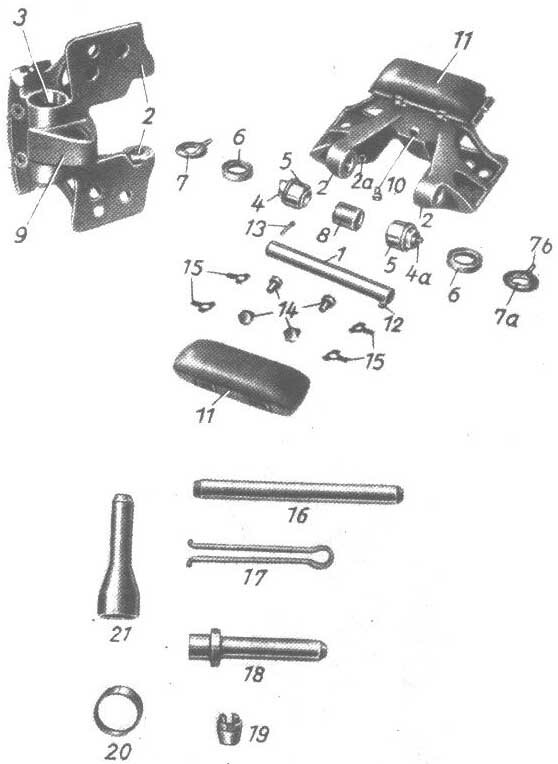 From February 1944 onward the rubber-pats are replaced by steel caps. That doesn't change anything in the field but limits the speed on the road to 30 km/h. In June of 1944 this step is reversed because of the many steel caps that are lost.